The Oakland Raiders came into this offseason with a ton of cap space, and so far, they have been putting it to use. A big focus has been adding to their 32nd-ranked defense from a year ago. They have already added safety Lamarcus Joyner, cornerback Nevin Lawson and linebackers Vontaze Burfict and Brandon Marshall to the mix, in addition to some other small signings. The one area they have yet to address to this point has been their pass rush though. Oakland ranked dead last by a wide margin in 2018 with just 13 total sacks, so fixing that should be a big focus of theirs this offseason. Mayowa was a former undrafted free agent signing of the Seahawks in 2013 out of Idaho. He spent the 2014 and 2015 seasons with the Raiders, where he recorded 30 total tackles and a pair of sacks. 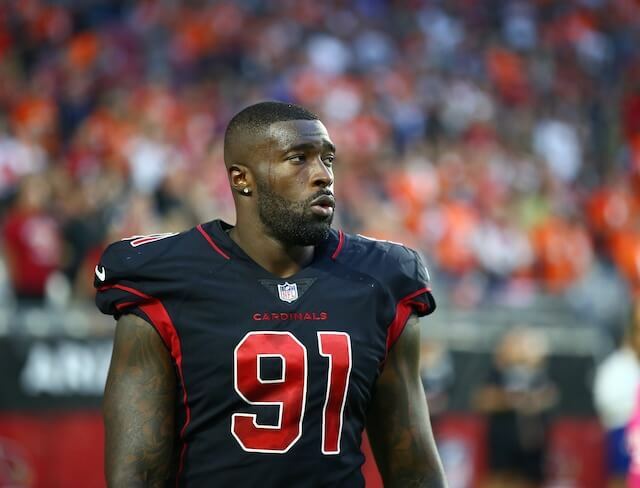 He played for the Arizona Cardinals in 2018 and had 38 tackles and four sacks. Overall in his six NFL seasons, he has a total of 116 tackles and 13 sacks. The Raiders have three first-round picks this year, so expect them to spend one or multiple of them to further upgrade their pass rush.